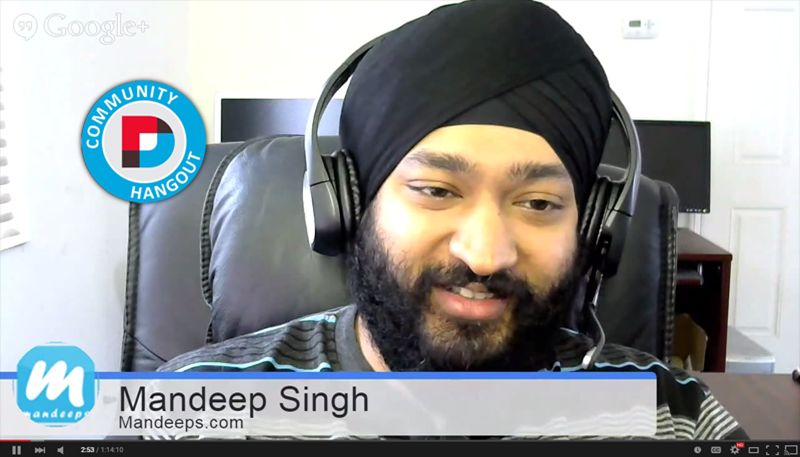 In this episode, we have the pleasure to speak with another veteran of the DNN community, Mandeep Singh. Mandeep is the CEO and founder of Mandeeps, one of the most successful and seasoned vendors in the DNN ecosystem. Like some of our previous guests, Mandeep has been using DNN since the beginning – and it shows. He and his team have been extremely successful in building up a large following of customers due to their focus on usability and support. As you’ll soon find out, they are raising the bar with the latest Live Forms release. We are always looking for new people to be features on the show. Please let me know in the comments of via email if you’d like to be on the DNN Hangout. Next month (sometime next week), we’ll be speaking to a special guest from Microsoft. Make sure you tune in! Follow @JBrinkman and/or @WillStrohl on twitter to hear about when it will be scheduled. 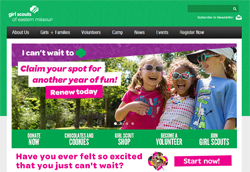 This month, we featured the website for the Girl Scouts of Eastern Missouri. It is the regional site for the Girl Scouts of America. This site was built perfectly for their target market, with it being fun, colorful, and easy to use. There are a lot of third party modules being used on this site, including Content Injection, Events, DNNGo DNN Gallery, DNNGo PowerForms, and Iframe. In addition, they’re using the oddly named 20030-UnlimitedColorPack-016 skin. If you would like for your site to be featured in an upcoming hangout, please let me know. This blog post is cross-posted from my personal blog site.